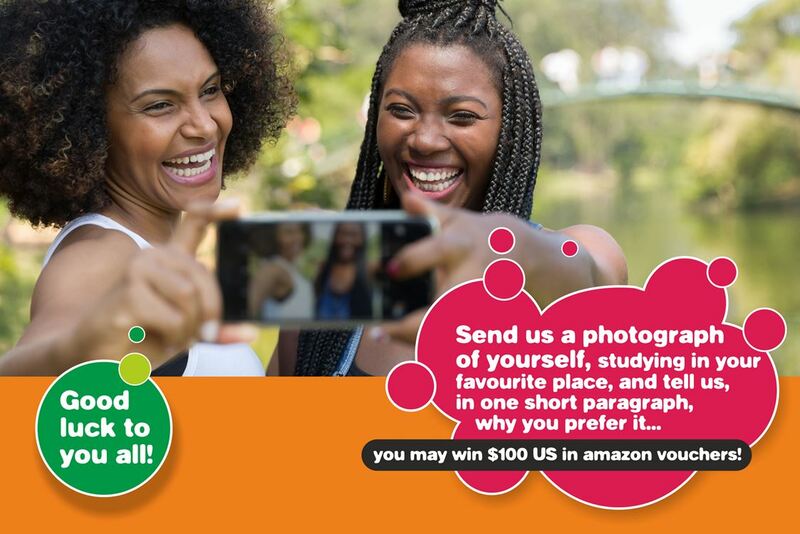 UNICAF - Scholarship Programme | UNICAF Facebook Competition - You can win $100 in Amazon Vouchers! Take part in our UNICAF FACEBOOK competition, open to all members of the UNICAF community until December 10th, 2016. Simply send us a photograph of yourself, studying in your favourite place, and tell us, in one short paragraph, why you prefer it there. The competition is already up and running. UNICAF students are voting for the entries that they like best. And we have some really interesting photographs for you to see and vote for. Go to this website to check them out! And remember, the top three entries, that will have secured the largest number of votes by the end of the competition, will win $100 US in Amazon vouchers each! So, come on, cameras and mobiles at the ready …. To enter the competition, simply upload your photograph at this website! And then ask your friends and colleagues to vote for your entry. The results of the Competition will be announced in the last week of the year on UNICAF social media and websites.